The event will be held over two days – the first for fitness industry professionals and the second for fitness enthusiasts. It’s not enough today to work your passion, loving training will ill-equip you for the competitive industry of fitness. The business of fitness requires you to be very clear on who you are and what you bring to the industry. Success first requires overcoming fear; then welcoming a relationship with failure, our greatest teacher. 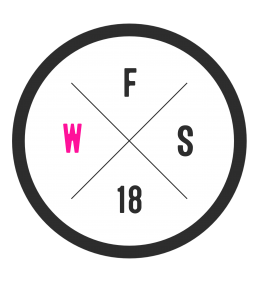 There’s room for each and every one of us to thrive in this industry, bringing our own unique talent and passion to fitness and wellbeing – let’s figure out the how? You want to know how to start and how to keep going? Fitness lovers, there are no workouts – you’ve been doing plenty of that already, right? This summit is focused on helping you to figure out what you need to do, to get to where you want to go – no gimmicks, no false promises, just years of unfiltered experience of what works. Working out is great, but working out, how to work out, can get a little complicated! 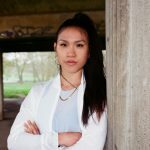 Day One Schedule : Saturday 27th Oct.
Keris Marsden NT Dip CNM, BA Hons, mBANT co-runs Fitter Food and is a qualified Naturopathic Nutritional Therapist, Yoga Teacher and Personal Trainer. 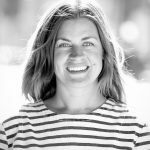 She co-authored the best selling Paleo Primer and Paleo Primer Second Helping recipe books and now runs Fitter 16, a personalised online health and lifestyle transformation program. 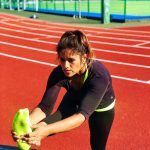 Keris regularly blogs on fitterfood.com about her personal experiences with PCOS, orthorexia and hormone health. “My passion is to help people grow, from were they have their heart and strong sides.” More than 20 years in the fitness industry, 15 with Nike as a Nike Master trainer, and with the last 18 helping instructors to grow from both coaching and instructor trainings in everything from dance, core to communication skills, I have seen so many amazing new stars rise. In my daily work as a business coach and manager I meet everything from new entrepreneurs, innovators to experienced CEO´s for large companies. I love to see how they all have that sparkle in their eyes when they talk about their company or business idea. And I can see so much potential in growing many successful business in the health/fitness industry with all the passion that is there. 1:10pm – 2:10pm – ‘Power Hour’ – Q&A hour finding out how these successful women are paving their way in the industry from: how they got started, the challenges they have overcome and where they see the future for women in the fitness industry. Amy Hopkinson, Digital Editor of Women’s Health; Kim Ngo on leaving corporate for fitness and never looking back; Neha Patel on teaching all that she has learnt through sheer determination; Karen Lisa Laing Co-Director of Fit School; and Nesrine Dally on never compromising and doing it your way. 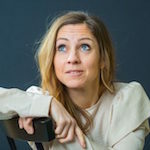 Be kind to your mind, and shift your perception – a deep dive into the philosophy of having a deep connection to your work to execute your individuality; and release blockages through focusing on movement and breath. 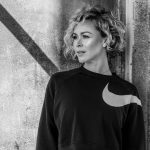 Born and raised in Switzerland, Paleta is a Movement Artist, Choreographer, Yoga Instructor and NIKE Trainer, based in London. Her mesmerizing performance and approach to movement created her reputation of the uniquely talented individual she is. 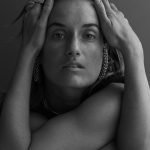 Dedicated & passionate about consistently improving her physical, mental, spiritual and creative practice, Paleta’s focus is on sharing her experience and knowledge through her performance, her teachings and her philosophy of CalmQuality. Practice your CALM – Execute your QUALITY. Establish what your personal brand is based on your values, what you stand for as a fitness professional and how you communicate your brand authentically to raise your profile. Ruth Hooper is the founder of brand & marketing consultancy Third Eye Marketing. She is no stranger to the fitness world having spent eight years at Nike. 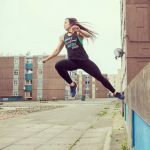 During this time Ruth was responsible for establishing Nike Training Club and the Nike Master Trainer network across the UK and Western Europe. 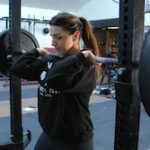 She has a wealth of experience of working with fitness professionals to raise their profile and raise the standards of fitness delivery. Ruth is also passionate about women in business and women’s sport, so is excited to be able to help & support women on their own personal journey in the industry. Day Two Schedule : Sunday 28th Oct.
Joslyn and Lisa both have 26 years’ combined experience in the fitness industry and have spent the last 2.5 years delivering training and strength workshops for women. They hold the same views on training methodology – it is a simple one that works and always has worked. Both are keen to educate as many women as possible to respect their bodies and its process, in training, to get the results they desire. Lisa comes from a Strength & Conditioning and performance-based training background. 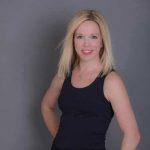 With over 11 years experience in the industry and as a manual therapist, Lisa teaches anatomy and posture-based workshops on yoga teacher training courses and retreats. She focuses her own teachings towards using yoga and movement therapy to enhance posture, alignment, athletic performance and reduce injury. She has used this to work with both England Rugby 7’s and more currently working with the GB Fencing team in their run up to the Olympic Games in Rio 2016. 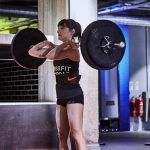 Her own training is geared towards competing in Strongwoman at British level podiuming 2nd and 3rd places at England’s Strongest Woman in 2015 and 2016. 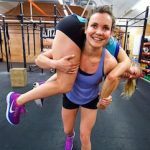 Meet Holly and Deb, Precision Nutrition Certified Coaches and CrossFit Trainers. From elite athletes to casual gym goers – the founders of Nucoa Nutrition work with clients from all walks of life to implement basic habits that help them to build the body and lifestyle they want. “We believe that how you eat is at the heart of physical and mental wellness and our ambition is to guide, motivate and inspire people to achieve ultimate health and happiness through the power of food. 12pm – 1pm – ‘Power Hour’ – Q&A hour finding out how these women have achieved their incredible goals in fitness and the inevitable obstacles that have overcome to keep striving: Neha Patel on losing 8 stone and she’s not done yet; Laura Faulkner on her journey from being 47kg to seven-times CrossFit Regionals competitor; Clare Maxwell on her battle with anorexia and how fitness has changed her life; and Shirley Darlington-Rowat on parkour, lifting and coaching with a growing family. Dr Anita Mitra is an NHS doctor specialising in Obstetrics & Gynaecology. She has spent many years undertaking medical research and recently finished her PhD on cervical cancer and the vaginal microbiome. Anita uses these skills to provide evidence-based information to an non-medical audience. 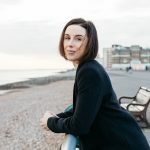 She also loves trying to normalise awkward health-related subjects and helping women to look after their gynaecological health whilst living an active lifestyle. Oh and her surname is the Greek work for ‘uterus’. Dr Jenna Macciochi has a fascination with understanding the human body in health and disease. Her specialist area of interest lies in the close relationship between the impact of nutrition & lifestyle on the immune system. Jenna is on a mission to break down the science behind our immune system. Gaining her BSc. Immunology at the University of Glasgow (1999, she holds a PhD from Imperial College London where she worked on allergy, chronic inflammation and repair (2005) in the Faculty of Inflammation, Repair & Development. 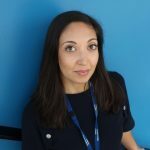 Jenna has held positions at The London School of Hygiene & Tropical Medicine & worked on clinical allergen immunotherapy projects to retrain immune tolerance. 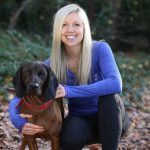 In 2009, Jenna was awarded a prestigious Presidential Fellowship which enabled her to combine her personal interests in nutrition & the immune system including a variety of research topics including metabolic endotoxemia, post-prandial epithelial permeability, diet regimens & use of pre/probiotics. Sarra is an ex-International and British Champion Speed Inline skater, with 36 British championships. For more than 10 years she competed at the highest level. After she retired she completed a Sports Science degree and used her skills to coach fellow athletes. 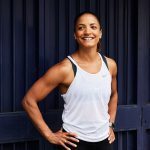 Sarra now specialises in correcting aches, pains and injuries and restoring people to optimal health from simple day-to-day function up elite athlete performance training. 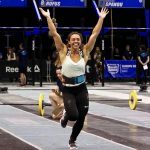 Sarra currently enjoys training for CrossFit (and improving the gymnastic aspect of CrossFit), yoga, trail running in Vibram five fingers and eats a Paleo lifestyle avoiding processed food. Nesrine has a wealth of experience with over 12 years in the fitness and health industry. She comes with a 1st class BSc in Sports and Exercise Science and Published Masters by Research in Sports Biomehanics. 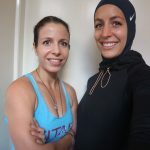 Nesrine has worked with a wide range of clients from Elite level athletes to individuals needing rehab from a sports/lifestyle related injuries. She is athlete herself and competes in Muay Thai which she’s spent the last 8 years training in. 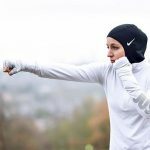 Her passions lie in helping others to move better, be pain free and getting women to become more confident and stronger within their bodies through martial arts and weight lifting.